Happy employees are the key to happy customers, and following these five suggestions can help your business develop a more positive workforce. As someone who is running or growing a business, you’ve probably given thought on how to keep your customers happy and coming back for more. It’s an important, ongoing initiative for any business to keep a healthy customer base. Over the years with my experience — from working the retail floor at Sears to heading customer success at Indeed and now leading Justworks’ customer and employee success departments — I’ve realized one common theme: the best way to support customer happiness is actually to ensure employee happiness first. Happy employees are more likely to go the extra mile to help your customers out, show resilience in challenging situations, and to help your company’s profits grow. All those factors result in more satisfied customers and a better retention rate. Below, I’ve outlined a few different ways you can keep your employees happy, and in turn, have a loyal and happy customer base as well. Employees today want to know what their paths for career growth are — especially employees in knowledge-based fields. In their current roles, they might think, “This is my job today and that’s fine, but what are my opportunities to move up in this role, transfer to a different department, or become a manager?” Nobody wants a stagnant-looking role. For example, when we built out our Support team at Justworks, some of those employees asked about the future career path, even though they had just begun in their roles. It was important to show them their options into management, into a technical support role, or to continue as a high-performing, senior Support rep to keep them happy, committed and satisfied — even if those career pivots were months or even years in the future. Employee growth doesn’t always need to mean being promoted to a managerial position, either. Some people don’t want to be managers. At Justworks, we’ve put in leveling for both managers and individual contributors, so employees can see some type of framework for what their futures look like. Happy teams perform better. Learn how to keep your employees happy and productive. When your employees know they have a solid future ahead of them, they’re more likely to go that extra mile for customers because they know it will benefit their futures as well. For employees who have a desire to develop, it’s important to realize those new skills often don’t come naturally. You need to have organized training, one-on-one coaching and other support options for them. At Justworks, for example, we have an optional training program for all employees that teaches employees how to give feedback or run effective meetings. Access to continual information and training makes a big impact on improving an employee’s skills. If you have an employee who has been trained on how to have difficult discussions or make decisions efficiently, naturally those skills will translate to how your employees interact with your customers as well. In any company, employees need an outlet to share what’s going on — a place where they aren’t scared or micromanaged. A lot of companies overlook that, or see management only as a function to drive productivity and results. One of the best ways to support employees is through a strong management acumen. Managers who know how to listen well, and how to give and accept feedback, are much more likely to create a healthy environment where employees feel supported. Strong managers who take care of their employees often deliver the future leaders of an organization. A fun work environment can make a big difference in employee happiness. Not every company can, or should, have a ping pong table or beer on tap. Fun can be had other ways, including free food, after-work activities or company sports teams. The goal is to make the environment feel more relaxed and less like work, and you can achieve that in ways that match your budget and company culture. When I worked at Indeed, I started buying people snacks from Costco. We would fill the car then unload at the office. Soon it became two cars. So you can start small then scale up as your company does. As long as you are thoughtful about your employees’ experience and seek out ways to add fun elements, they will feel it. For example, maybe your team is in the midst of a huge project. When Justworks was adding a lot of new customers at the end of last year, we provided breakfast every day to let employees know that we had their backs. Those small gestures make a big difference in employee happiness levels, and will translate to the level of service and patience your employees offer customers. Creating an employee reward or recognition program is great for building company culture and camaraderie. Justworks’ Customer Success team has quarterly awards anyone in the company can nominate them for, and themed trophies that come along with it. We focus on the customer success behaviors we want to see — going above and beyond for customers, supporting teammates, and developing new processes that benefit others — then allow the company to share when they’ve seen those things. When developing a rewards program, don’t forget that some employees don’t like being called out on a big stage and prefer individual recognition instead. What’s important is to know your employees well; which rewards work for them and which don’t. Rewarding employees who provide excellent service will set a great example for the rest of your team members. It also might inspire them to go out of their way to provide excellent service as well. Regardless of how you decide to go about it, investing in happy employees who feel supported and optimistic about their place in the company will almost always result in a more loyal and happy customer base as well. 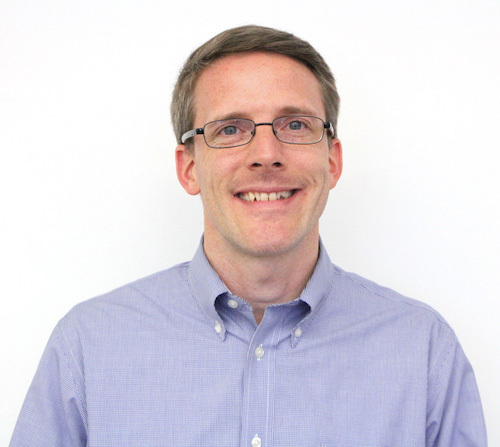 Jason Whitman is the VP of Employee and Customer Success at Justworks. You can find him on Twitter @JasonWhitman.